I have a long history of burger creations that have come out of the Meatwave, so many that I didn't think I'd really be surprised by a burger I made myself anymore. 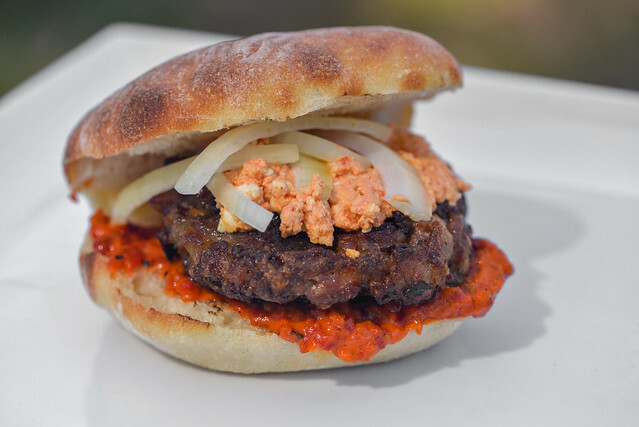 So it was a little floored after I made these pljeskavica—Serbian-style burgers—and was blown away with how they tasted. It was like no burger I've had before, and maybe that unexpected quality heightened my personal love for them, but seriously, they were crazy delicious and think you'd be equally impressed if you tried them too. The Meatwave kick off for 2019 took place on St. Patrick's Day, and to be totally honest, I had no idea it was a holiday until someone pointed it out to me. I then began tinkering with the idea of throwing an Irish-themed cookout, but abandoned that thought in exchange for a menu comprised of all different types of burgers. 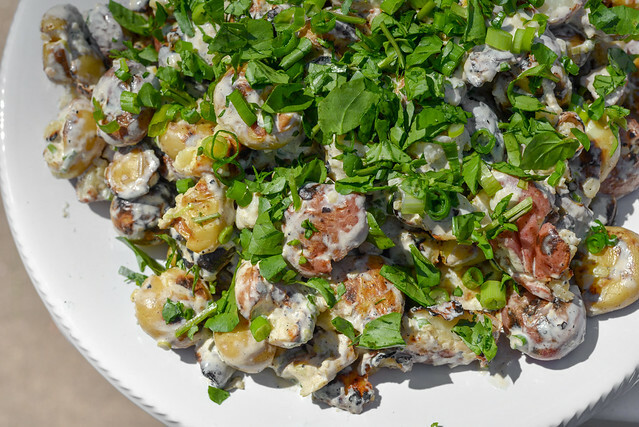 However, in my thinking along Irish lines, I had ideas of potato dishes swirling, including a potato salad, which I ended up making, although what I put together really had no roots in Irish cooking. Actually, I'm not sure this smashed potato saladsettles into any cuisine classification, unless you count delicious as a category! My first experiences with vegetarian eating consisted almost exclusively of foods that masqueraded as meat—veggie bacon, burgers, nuggets, dogs, etc. My brain wasn't down with that and had trouble accepting eating something that is trying to taste like meat, but isn't really, and I was put off for a long time. As my vegetarian Meatwave constituency continues to grow and I'm finding myself crafting more and more meatless recipes, I'm becoming more in tune to what I personally like about veggie recipes, and that's not trying to make something taste like meat, but make it taste like what it is—vegetables. I think that may be a big reason why the veggie burger at the Sparrow Tavern in Astoria is so loved. This local haunt from my past life in NYC doesn't do a veggie burger that has any semblance of its meaty origins beyond its shape, instead it tastes like a delicious medley of vegetables that's totally satisfying on a number of levels. So when I decided to try to make a veggie burger at home, it was a no brainer for me to start with some facsimile of the recipe used at Sparrow. On my frequent trips to New York for work, more often than not, I find myself choosing either Thai or Chinese for dinner because my love of both of those cuisines cannot be fully satisfied by the options available in Durham. For Chinese, I usually end up at Xi-an Famous Foods since they're easy to find it most areas of the city, and the menu is filled entirely with items I can't get at home. I'm so excited to say that is no longer true though with the opening of Sister Liu's Kitchen in Durham, which, in addition to the massive amount of dumpling options they're outputting, also make Chinese-style burgers, and they're really top notch. 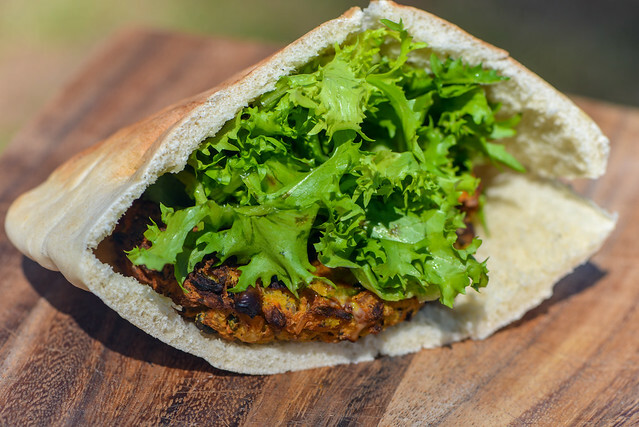 So when I decided to make these Xi'an-style cumin lamb burgers at my first Meatwave of 2019, the impetus wasn't trying to recreate something I can't get here (as a lot of my recipes are these days), but rather it was born from an enthusiasm that I can now have these delicious burgers in my life way more often! 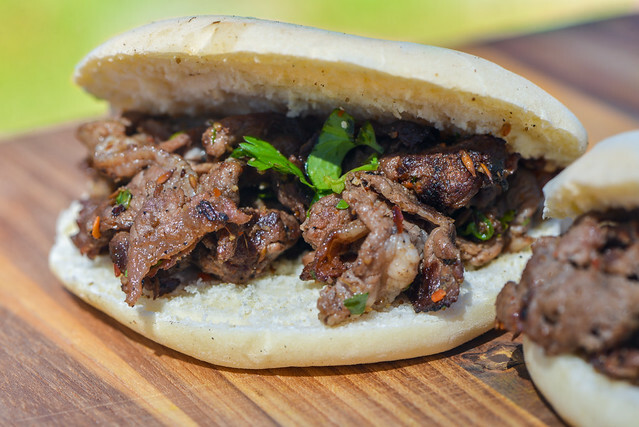 Back in my old hood of Astoria, NY, we had an amazing arepas joint called Arepas Cafe. I was instantly enamored with my first taste of these Venezuelan stuffed corn cakes, and while I tested the waters early on of all different types of fillings, I found my three favorites and have stuck to ordering only those year after year. 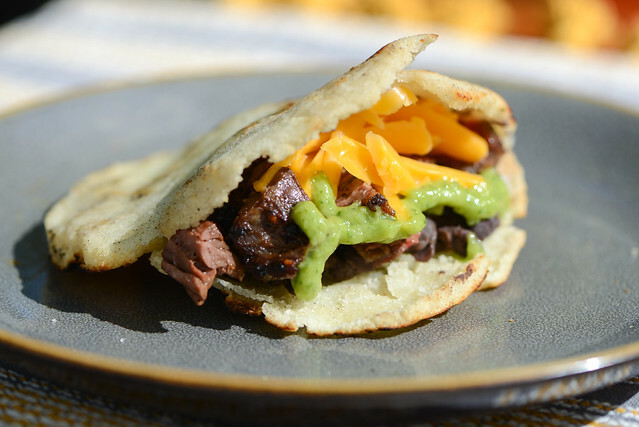 So when I was making arepas at home a few years back, two of my beloved varieties—the Reina and Guyanesa Tropical—were on the menu, but I also tossed one new variation into the mix with this arepa filled with black beans, grilled skirt steak, and cheddar cheese.